Senate Extends Deadline One Week. Expect Vote on FAA Bill Next Week. Home » News » Latest News » Senate Extends Deadline One Week. Expect Vote on FAA Bill Next Week. September 28, 2018 — Tonight, Congress passed a one-week extension of the FAA's authorization through Oct. 7, 2018 to give the Senate a few extra days to vote on the full FAA Reauthorization Act of 2018. On Wednesday, an overwhelming bipartisan vote in the House of Representatives approved the long-term bill. Now, the Senate needs to vote for the bill to send it to the President's desk for signing before the new October 7, 2018 deadline. We're almost there. Keep calling! "I am a Flight Attendant and a constituent. 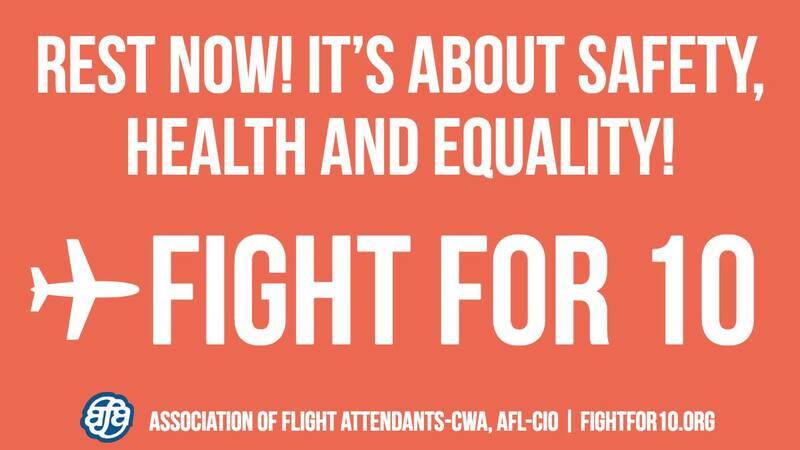 I strongly support the FAA bill that includes 10 hours minimum rest for Flight Attendants among other important safety initiatives. I am calling to ask my Senator to vote for the FAA Reauthorization Act of 2018. Thank you." Call your Senators now at 855-534-1774.